In the packet of evidence released by the Committee, there were brochures from a tissue procurement company. Although the name of the tissue procurement company was redacted, Democrat members of the Committee referred to the company as StemExpress – the company that played a starring role in videos released by the Center for Medical Progress (CMP). To offer that service, you need abortion clinics – a lot of abortion clinics – so you grow your number of clinics and you offer the clinics money to sign up – you offer them “financial benefit” to join in. You tell the clinic that you will do all the work – all the items on the chart that show the workflow of the procurement technician. These brochures came up numerous times in the hearing, along with compensation schedules listing the prices for various organs. According to these compensation schedules, clinics could receive up to $75 per organ. Sources close to Live Action News have stated that invoices used as evidence by the Panel were invoices from StemExpress to Planned Parenthood Mar Monte, the largest Planned Parenthood affiliate in the country. The rest of the Majority’s witnesses were all attorneys, many of whom were former United States Attorneys for the Department of Justice. One of them, Brian Lennon, stated that “a competent and ethical prosecutor would find probable cause” that abortion clinics in the CMP videos violated the federal fetal tissue statute as well. He also stated that, based on the current evidence, there also seemed to have been a conspiracy to violate the statute. Lennon supported his argument by analyzing the evidence in today’s hearing with the elements of the federal statute. Michael Norton, an attorney and former U.S. attorney, and attorney Catherine Glenn Foster, an associate scholar with the Charlotte Lozier institute, were the other witnesses for the majority. 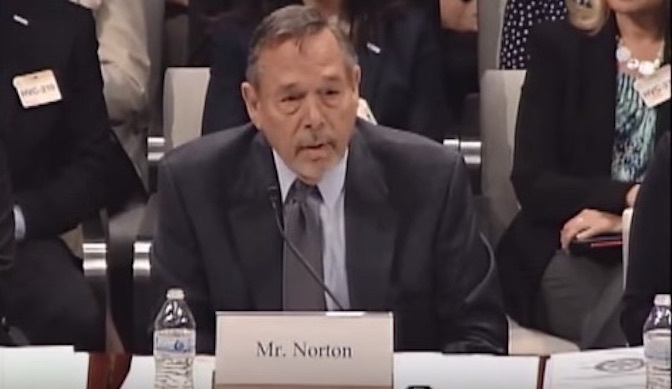 Norton testified that “[n]o matter how one stands on the issue of abortion, nobody who has watched these [CMP] videos can come away thinking Planned Parenthood’s harvesting and selling of the lungs, hearts, brains, or other organs of unborn babies is consistent with the values of our American Society.” Meanwhile, Foster testified that “as an attorney dedicated to protecting human beings, she believes that this procurement process demonstrates a flagrant and repeated disregard for the rule of law.” She also explained how offended she is as a post-abortive woman that clinics exploit women for fetal tissue. The minority members of the committee continued their assault on the authenticity of the CMP videos as well as David Daleiden, the investigative journalist who released the videos. These members also questioned the authenticity of the evidence the majority members introduced. However, at the end of the day, the glaring promotion of “financial profitability” in procurement company brochures along with former prosecutors discussing their case for probable cause ruled the day and seemed to get the national media attention.